Space Vampires and Blade coming to Agents of SHIELD season 5? There are some mysterious things going on in Agents of SHIELD and a small bit of evidence has surfaced leading some to believe that Blade could be appearing in the show. Blade is among the rights that Marvel has managed to bring back in house. About 2 years ago at SDCC 2016 there were some interesting things said by Wesley Snipes that talks were being had between himself and Marvel about the future of Blade. 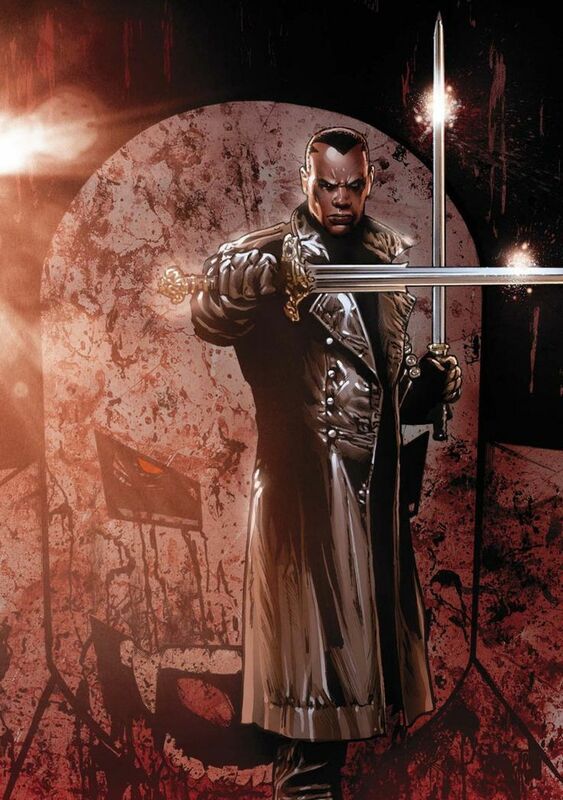 2 years later and one mysteriously scrapped Blade comic later and there still is no word at all about Blade. Marvel has been completly mum about the character. Got a chance to meet the very charming @JeffWard1230 AKA Deke from Marvel’s Agents of S.H.I.E.L.D. today. I can’t wait for you to see the cool things we are cooking up. Keep an eye out in 2018! #AgentsofSHIELD #Blade. Lorraine went on to claim that the Blade reference was only meant because it is Jeff Ward's favorite character but.........? The show did manage to get appearances of Deathlok and Ghost Rider so maybe its possible that they could also get at least a version of Blade to appear on the show. While the show is currently dealing with a science fiction and time travel story that seems like an odd fit for Blade the show is still toying with some elements of the supernatural. In particular the Framework program that was created by the dark magic book the Dark Hold still exists. Beyond the framework there is one element in particular that makes me believe that the show could be headed toward Blade. What could be happening in a space environment that would lead me to this conclusion. Well how about Space Vampires. Is Lady Basha and her red eyed people actually space Vampires? The show also has introduced a group that seem to be red eyed aliens who like blood sports. This group of aliens is led by Lady Basha who continually does not show up to invited dinner of the Kree overlord Kasius of the Lighthouse station. Could Lady Basha actually not be an alien but instead be a vampire? I have been trying to determine what alien Lady Basha could be but have been coming up with blanks however one group in Marvel that is humanoid with red eyes are vampires. Maybe she is not showing up to dinner because does not want to reveal what she eats...........blood? I think the race or species of Lady Basha has cleverly been omitted. No one has said who they are. This is peculiar because the aliens Vrellnexians and the Kree were named very quickly in the show. Why would the show hold out on the name of Lady Dasha's people? It seems that her species whatever it is a piece of the puzzle of where the show will go. Nothing would lead fans more than the revelation that Lady Basha is not an alien but a vampire. This would also explain why the show does not want to show her eating as that would give her secret away. What do you think could Season 5 be headed toward Space Vampires and Blade? That is a pretty awesome combination if you ask me. Am I crazy or does this theory make sense.